My friends tell me I am lucky to have dry skin. They say, at least you don’t break out as much as us! But those of you who have dry skin will know that it comes with its own set of problems. It’s rough, sometimes scaly and always feels like you’re parched. The dry patches make your skin look dull and much older than you actually are. And moisturizers end up giving more of a temporary solution than actually treating the problem. That’s why we have put together some really simple and super easy home remedies for dry skin. The basic ingredients are easily found in any regular kitchen, and they will help you really treat your skin well. Here’s the first part of our special girl wisdom! Separate one egg yolk from the white and add about two small spoonfuls of olive oil to it. Squeeze half a lemon and add a little rose water to thin the mixture out. Put it on your face and neck. Let the mixture get semi-dry then rub your skin with warm water to take off the mixture in layers. 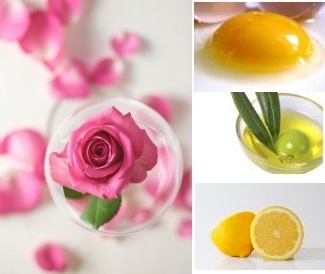 The olive oil moisturizes your skin, the lemon adds a tinge of glow, the rose water tones your skin while the egg makes it smooth. This pack is an absolute must try for those of us with dry skin issues. Be careful, to check for allergies first. If you live in a super humid city, don’t try this pack more than once in 15 days. 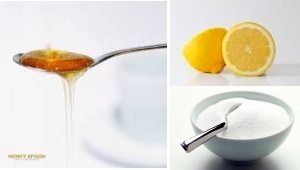 Take about 2-3 spoonfuls of sugar and squeeze enough lemon juice that it forms a thick paste. Put a few drops of honey in there. Use the back of a spoon to crush the sugar granules and make them fine. Take the paste on your fingers and apply it on your face, while going in circles. The sugar makes for a very effective scrub and lets the lemon honey reach deep inside and hydrate your skin, giving it this gorgeous glow at the same time. Smash up a banana and add a little yogurt to the mixture. Use your spoon to roughly make a thin paste. Apply this on your face and wash it off with normal temperature water when it dries. Yogurt and banana are so intensely moisturizing, you will be able to see the difference almost immediately. For those of you with combination skin, keep this pack away from your T Zone, you don’t want it to result in an unsightly zit! We love the simplicity of this one. 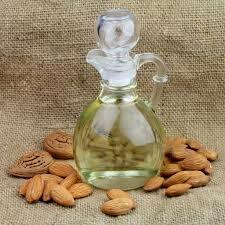 Get your hands on a bottle of pure almond oil. Take a few drops on a cotton ball every night and apply it on your face after you wash it instead of your moisturizer. You can choose to keep it on all night, or wash it off it about 20 minutes with warm water. Almond oil is the most natural home remedy for dry skin, and also it is super rich in Vitamin E. Be careful if you happen to have a nut allergy! This one smells so good, you will have to resist eating it! 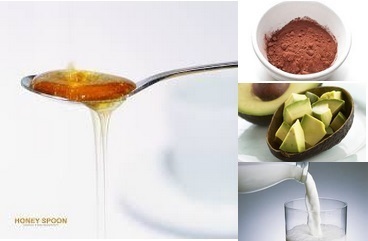 Take half a cup of cocoa powder and add a spoonful of honey and 2-3 spoons of avocado. Mix it all up using a little milk or you could choose to use a little rose water. The easiest way is to put it all in a mixer. Then, apply the paste all over your face and neck. You can even put it on your arms and legs if you wish. Wait for it to dry (while trying not to gobble it up) and scrub it off with warm water! To give your packs the added boost, make sure you do a few things right for yourself. Drink 8-10 glasses of water at least. When you’re washing your face, absolute DO NOT use hot water– normal temperature or cold water works just fine and doesn’t dry your skin out. Always, always, use your sunscreen. Think of it like your skin’s best friend. It absolutely cannot survive without one! Keep watching this space for more tips on treating your dry skin!